Long-term success in the car care industry requires constant education. Operators need to stay abreast of the latest technologies and techniques in order to keep their edge over the competition and ensure the services they offer match the market’s ever-changing demands. Air Force One Detailing Team. Over the past decade there has been an increased focus on the need for education in the detailing and automotive restoration business. As the detailing side of the car care house has evolved from the bucket and a sponge era to a full-blown professional undertaking, the leaders in the space have turned to a growing group of specialized trainers to help hone their skills. These professional detail trainers arm their students with the technical knowhow to do more than just get a car clean. They teach them how to restore and protect a vehicle and apply next-gen techniques and products like long-lasting exterior coatings that not only increase the detailer’s technical savvy, but also allow them to greatly grow the bottom line. While these educational classes and seminars have done wonders for the detailing industry, they have failed to connect with the growing Hispanic community. Until now, professional detailing education has only been offered in English, preventing the industry’s growing Spanish-language contingency from fully utilizing these vital training opportunities. Detailing veteran and owner of Xtreme Xcellence in Orange County, CA, Rigo Santana has taken it upon himself to change that. founded translates to the New Generation of Detailers. 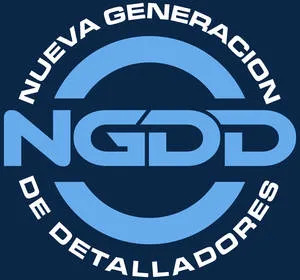 Santana founded the Nueva Generacion de Detalladores (NGDD) network with the goal of providing Spanish-speaking detailers access to training on the latest detailing technology and techniques. To help rectify the situation Santana along with fellow detailer Sergio Fierro founded NGDD last year, and held their first major training session in Puerto Rico in February 2018. That first educational seminar drew a max capacity 40 detailers hungry to learn the secrets to detailing success from two of the most talented professionals in the industry. Museum detailing crew had the privilege to work on. to get a car just right. Santana working the polisher on a classic. 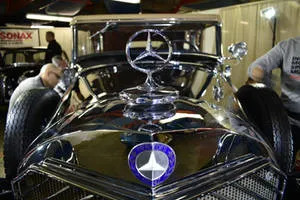 The experienced detail trainers taught advanced techniques including paint correction. They also encouraging their students to pursue professional certifications and gain basic business skills like bookkeeping and marketing to get a leg up on the competition. 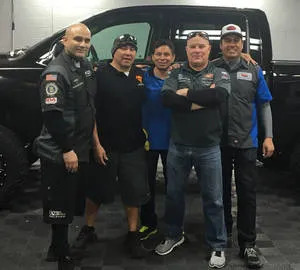 While that first detailing master class took place in Puerto Rico, Santana plans to grow the organization throughout the Hispanic community both in Latin America and in the United States. Santana knows firsthand the power of a quality detailing education. He founded Xtreme Xcellence in 2007, with little more than the dream of owning his own business. He started from the bottom as a mobile car washer and detailer, performing $20 washes out of his mobile rig, to now routinely applying $2,000-plus paint protections. His search led him to his first Specialty Equipment Market Association (SEMA) show in 2009, and the event had a lasting impression on him. That commitment to continuous education on both a detailing and business level has paid off handsomely for Santana. His Xtreme Xcellence business based out of Laguna, CA is thriving, with an appointment book jam-packed two months in advance. Xtreme Xcellence caters to high-end clientele, focusing on paint correction and next-gen coatings for luxury automobiles. 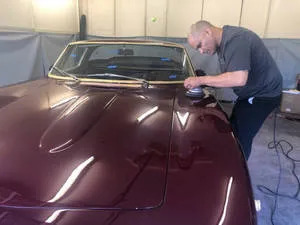 Although Santana still does some mobile detailing work for a select group of clients, the vast majority of his work is done out of his fixed location. He subleases a bay and a lift from Pacific German, an automotive customization and mechanic shop that focuses on imports. His location at Pacific German provides him with cross-promotional opportunities and access to luxury car owners with a thirst for high-end detailing, the kind of detailing Santana specializes in. Santana’s level of professionalism has not gone unnoticed in the industry. 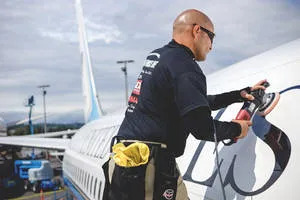 He was a member of the prestigious Air Force One detailing team at Seattle’s Museum of Flight, and most recently was selected to work on a project at the Indianapolis Motor Speedway Museum. Sonax and the museum have teamed up on a multi-year project to restore and preserve the paint on a number of precious vehicles the museum owns. To ensure each and every vehicle receives the best possible care, Sonax selected eight of the best detailers from around the country to work on the project, and Santana was a member of the elite eight. “The experience itself was amazing,” Santana says. “Just being at the Indy 500 and on the raceway was priceless. Over the next few decades Sonax and the team will be working on around eight cars a year. Santana is thankful for all that the detailing industry has provided him and he is happy to give back with both his time and expertise. Over the next few years he looks to scale Nueva Generacion de Detalladores across the country and bring his unique skill set and training capabilities to Spanish-language detailers both at home and abroad.